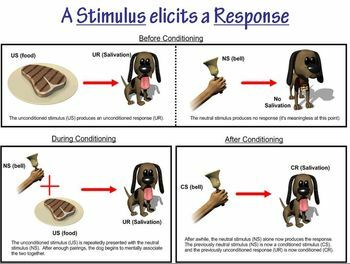 Contains a PowerPoint presentation covering the basics of classical conditioning. This would best be used as part of a Learning unit in a Psychology or AP Psychology course. 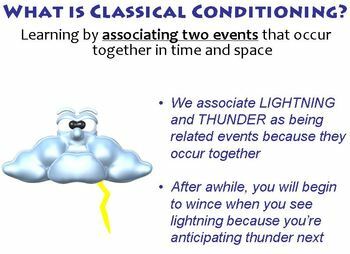 -- What Is Classical Conditioning? 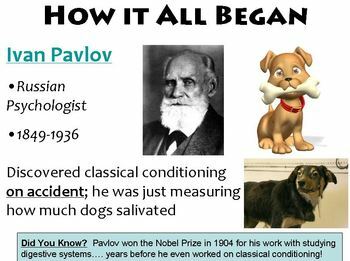 If you're looking for a more basic powerpoint on classical conditioning, please click here. 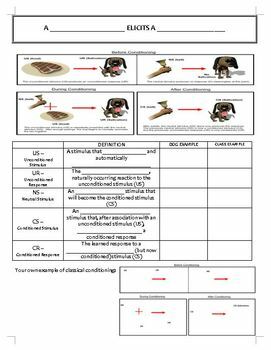 Or, if you're looking for a worksheet for students to practice identifying the elements of classical conditioning, please click here. Please note that the fonts "Candara", "Eras Bold ITC", "MV Boli", and "Lithos Pro Regular" are used in these documents. If your computer does not have these fonts installed, it will automatically replace them with a default font, which will cause it to look different than the screenshots indicated and require you to re-format the slides.